The 2018 Ashland Monster Dash Silent Auction will open at the start of Packet Pick-up at 2pm on Friday, Oct. 26 at the Historic Ashland Armory. The auction will be open all day for viewing and bidding, and will close at 7:30 pm during the Monster Ball Pasta Party. You can get a sneak peek below at the initial auction items donated by our incredible community to support students and education below. We will be adding auction items as they come in, so be sure to check back often! We will make announcements on our Facebook page, so make sure you “Like” the Ashland Monster Dash Facebook page! Get started on your holiday shopping – some of these items would make awesome presents. Don’t let these bargains get away from you – attend the Monster Ball Pasta Party on Friday, 10/26 (5-8pm) and watch over your bids! To learn more about any of our generous auction donors, Click on their logo to be directed to their website! NOTE: We have just begun gathering auction items – check back often for updates. Let us know if you have a great idea for a unique auction item! We have limited space, so we strive to have each item be extra special. 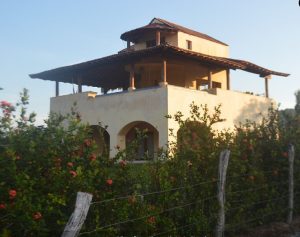 Treat yourself to a paradise escape in Mexico! Expand your world with world-class theatre at the Oregon Shakespeare Festival. Purchase this OSF gift voucher for two tickets to any of their 2019 season offerings. * Value $150 *Note: some restrictions apply – please read voucher rules before bidding. Go Grizzlies! 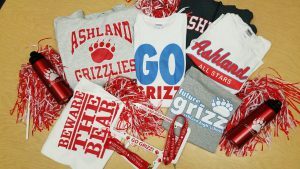 The Ashland High School Booster club has got all you need to be the best-dressed Grizzly fan around! Whether you’re going to a football, soccer, or volleyball game, you’ll be ready with an assortment of Grizzly wear and spirit items! (sizes are exchangeable!) Both adult and youth baskets will be available. Ostras! Located on the plaza in downtown Ashland, Ostras! offers an elegant dining room with a friendly relaxed bar to enjoy wines from the world and a delicious variety of tapas. 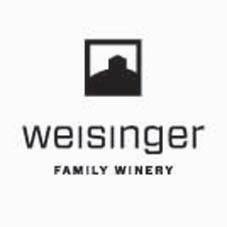 Go and taste for yourself with a gift certificate Valued at $50. 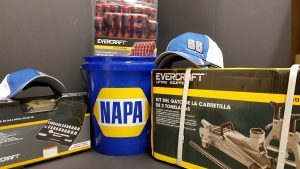 Napa donates really great tools for the do-it-yourself repair folks, and the pros! As soon as we know what this year’s donation will be we’ll post it here! 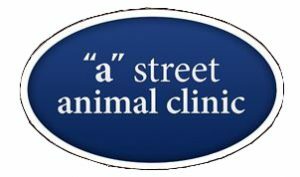 “a” street animal clinic This local pet clinic provides quality medical and surgical care for your pet in a warm and friendly environment. Dr. Aiden Costello, DVM and Dr. Jessica Voellm, DVM build lasting relationships with their patients. Fry Family Farm If you’ve shopped at any of the Valley’s Grower Markets, you’ve probably shopped at the Fry Family Farm’s organic food stand. But did you know they have a fabulous new Farm Store on Ross Lane in Medford? The Farm Store carries a multitude of local and seasonal products your kitchen can’t go without. A basket of goodies is expected from the Farm! 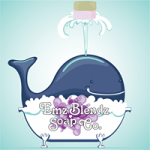 Emz Blendz Soap Co. A basket of Emz Blendz natural soap products will keep you clean, soft and smelling like a dream! Or break the basket up and use the individual items for holiday gifts. We’ll post basket details and value once we have them! 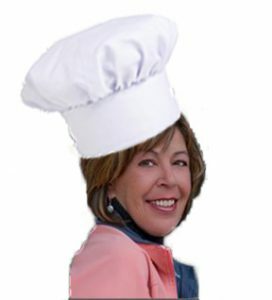 Marilyn Stewart’s Cooking Basket! You probably know Marilyn through her real estate business at Windermere Van Vleet & Associates. But Marilyn also puts together a fabulous eclectic basket for us each year filled with the most fabulous food & cooking items! Last year’s basket had a $135 value – make sure check out the 2018 basket to see what goodies are offered up this year! LOTS MORE ITEMS TO COME!